Our 2018-2019 Religious Education in-class Registration is now closed, as all classes are at capacity. We are accepting students into our ONLINE HOME STUDY program for Grade 1 and Grades 3-7. Please click HERE to register for this online option. The same fees are charged for the onsite and the Homestudy Online option. Please note that a late fee of $25 per family will be charged for all returning student registrations received after August 31. The traditional academic year program is also offered to our families. 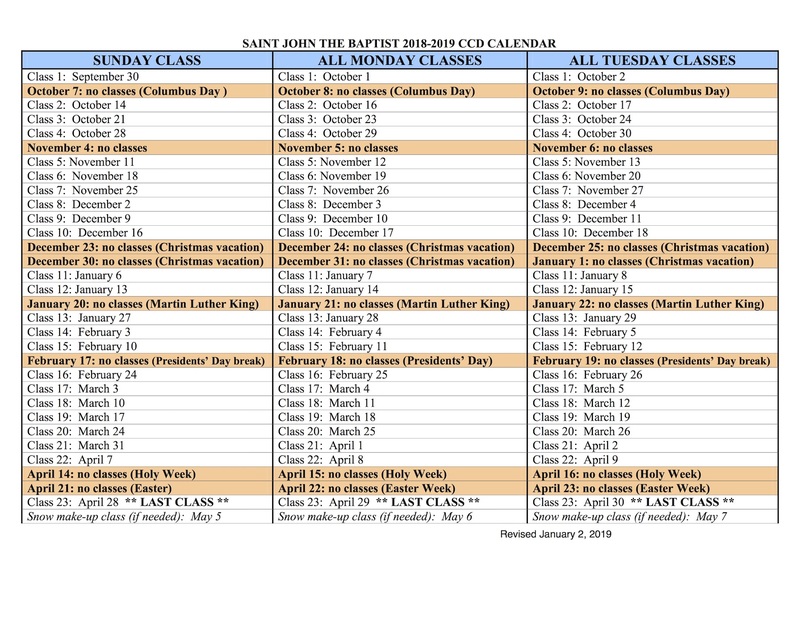 This is a weekly in-class program that runs from October, 2018 through April, 2019. Parents have the option to work with their child(ren) at home using online access to the Faith and Life Program from September 2018 through May 2019. This program includes online activities and self-assessment, and is monitored by the Coordinator of Religious Education. For families who have withdrawn their child/ren from formal school setting and are teaching them at home, we offer a homeschool CCD option as well. Please contact the Religious Education Office for more information.